Because of the large number of sites they pollute, toxic metals that contaminate terrestrial ecosystems are increasingly of environmental and sanitary concern (Uzu et al. 2010, 2011; Shahid et al. 2011a, b, 2012a). Among such metals is zirconium (Zr), which has the atomic number 40 and is a transition metal that resembles titanium in physical and chemical properties (Zaccone et al. 2008). Zr is widely used in many chemical industry processes and in nuclear reactors (Sandoval et al. 2011; Kamal et al. 2011), owing to its useful properties like hardness, corrosion-resistance and permeable to neutrons (Mushtaq 2012). 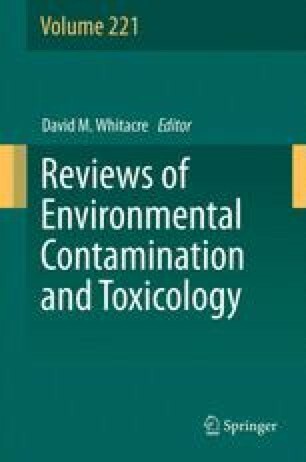 Hence, the recent increased use of Zr by industry, and the occurrence of the Chernobyl and Fukashima catastrophe have enhanced environmental levels in soil and waters (Yirchenko and Agapkina 1993; Mosulishvili et al. 1994; Kruglov et al. 1996). The authors would like to thank the “Agence Nationale pour la gestion des déchets radioactifs” (Andra) for financial support. We thank the Higher Education Commission of Pakistan (www.hec.gov.pk) and the French Society for Export of Educative Resources (SFERE, http://www.sfere.fr/) for the scholarship granted to M. Shahid.